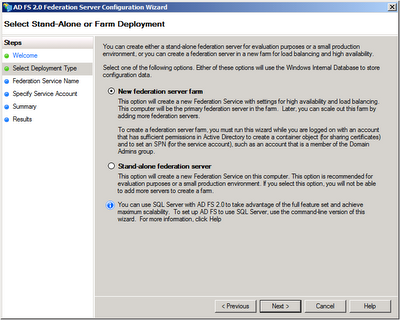 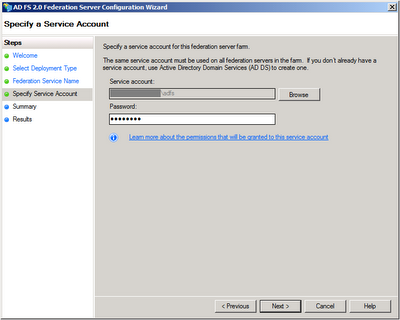 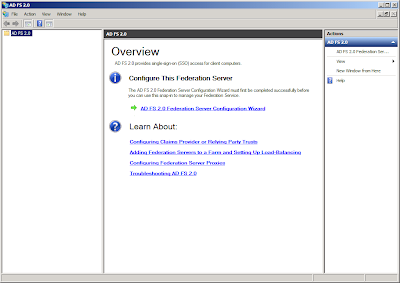 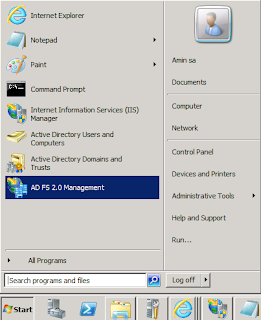 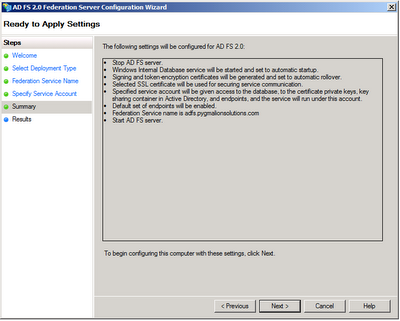 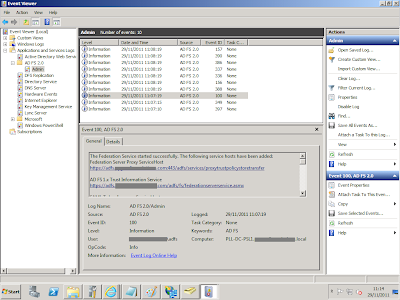 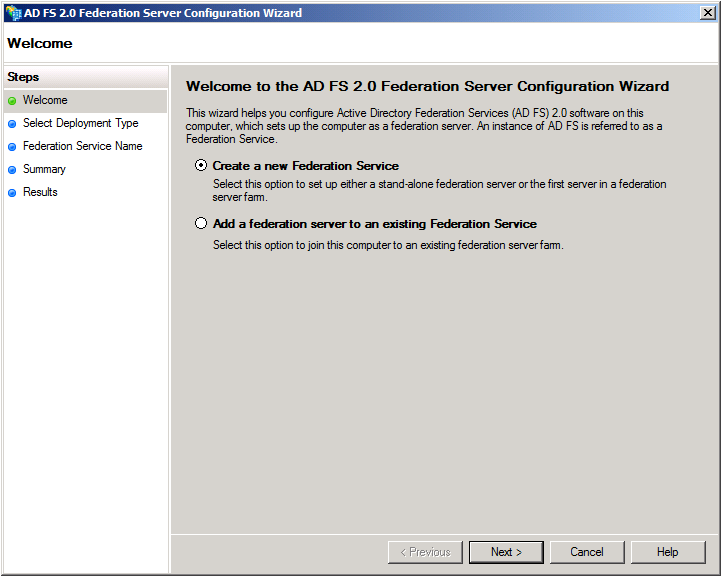 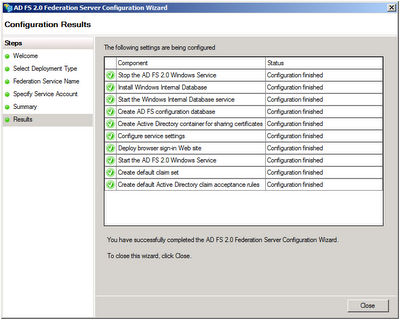 On the Overview page, click AD FS 2.0 Federation Server Configuration Wizard. 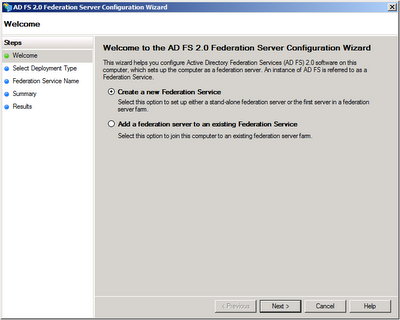 Now that the AD FS is configured on your server you need to verify that the federation server is operational. 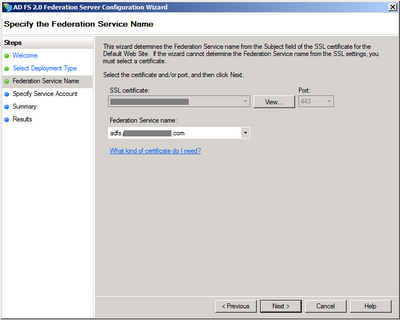 Now that you have configured your AD FS, the next step for Single Sign-on is to install and configure the Microsoft Online Services Module for Windows PowerShell.